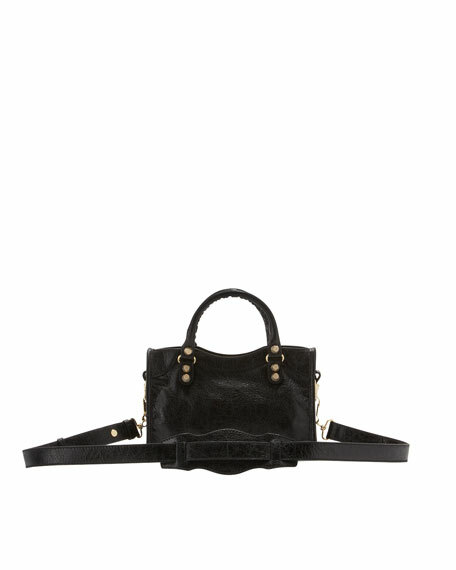 Black soft lambskin with yellow golden hardware, including stud and buckle detail. 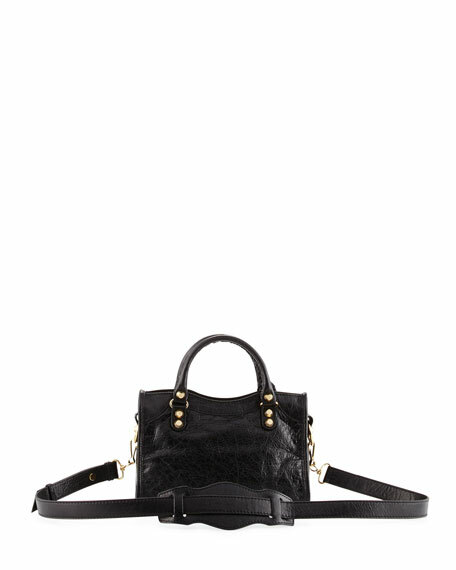 Tote handles with 5" drop; removable crossbody strap with 21" drop. 7 1/2"H x 9"W x 3 1/2"D; weighs 1.3lbs. For in-store inquiries, use sku #1939897.